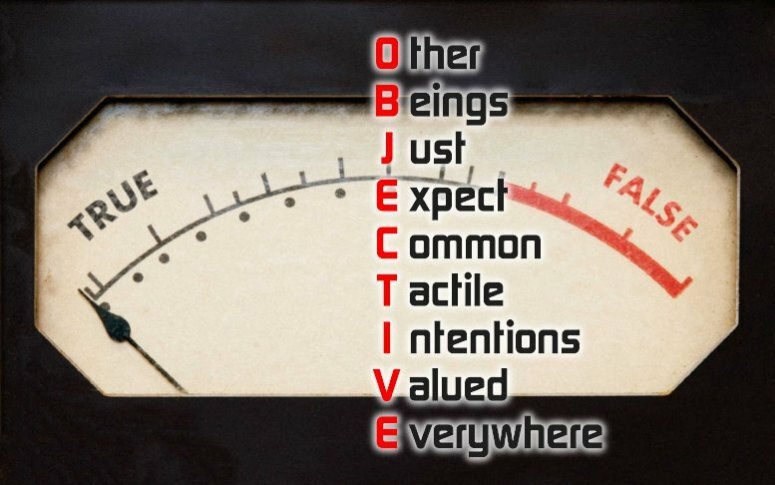 Is 'objective' a reality which is free of subjective aspects, or is your objective that which you aim for? Going with the flow is only for dead fish, but there is such a thing going towards your goals with a minimum amount of energy. Knowing mind over matter actually works because we are energetic beings.